100 Thieves has been getting a lot of publicity lately with the recent acquisition of business partners Drake and Scooter Braun. 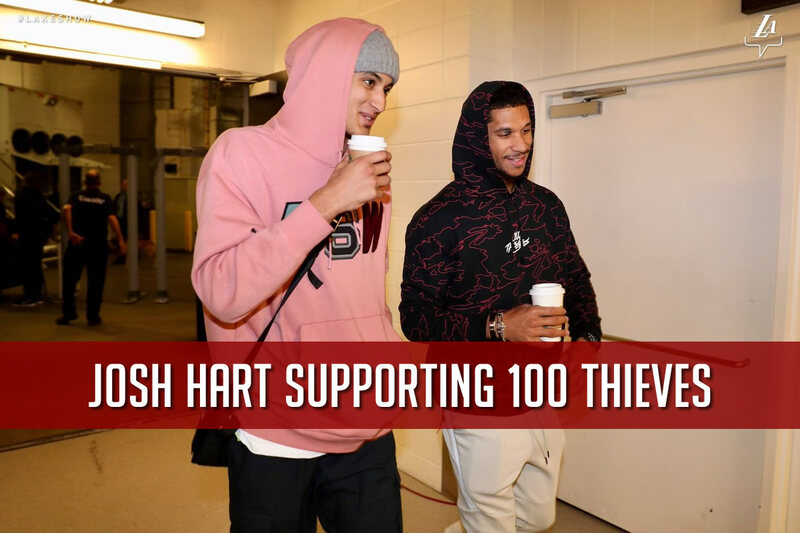 Things don’t stop there, Josh Hart of the Los Angeles Lakers was spotted showing up pregame in a 100 Thieves hoodie. Josh Hart, the rookie shooting guard for the Los Angeles Lakers, is a gamer himself. Josh streams Fortnite, Destiny and other various games on his Twitch channel that has amassed over 20,000 followers. Josh appears to also like to watch other popular Twitch streamers. Josh follows some of the biggest names on Twitch like Pokimane, Ninja and King Richard. Josh doesn’t only follow Twitch’s entertainers, he follows other NBA athletes like Kobe Bryant, Larry Nance and Karl Anthony Towns – who he plays at Target Center tonight.